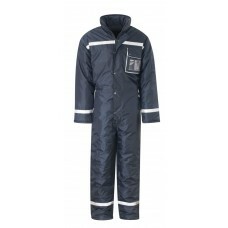 Check out the specifications of our thermal padded, quilted boiler suits. 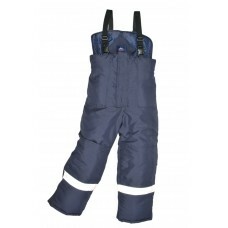 They are manufactured from polyester and cotton so are hard wearing, durable and protect the wearer no matter which kind of job he or she does. 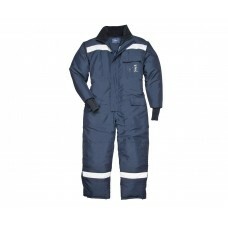 These navy blue boiler suits have elasticated backs, zip fronts, two slanted zip breast pockets along with a covered placket and two back pockets, so plenty of space to keep phones, cash as well as small tools in when working. We sell thermal padded boiler suits that can easily have logos, motifs, name of your company or other information embroidered or printed on them. If you already have advertising material why not have it transferred to boiler suits worn by your staff to not only make them feel part of your team but to advertise your business too? Thermal padding means you are providing your workforce with warm clothing which is more than welcome during the cold winter time. It also gives protection to clothes worn underneath to keep them clean and free from any substances that may spill onto individuals during their working day. We at Your Workwear, take great pride in selling some of the most safe and up to date clothing on the market today. With our easy to navigate website ordering is a very straightforward process, just follow the step by step instructions and in no time at all your order will be winging its way to your address. Many companies are realising the importance of providing their staff with comfortable, safe, thermal padded boiler suits and the more you buy the more cash you can save. 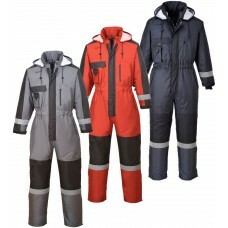 Take a look at Your Workwear trade prices, you’re sure to be quite amazed at how affordable our thermal padded boiler suits can be when you purchase 10+ or 50+ items. Don’t delay, fill in an order form soon to benefit from great savings and fantastic safety wear.